The Baron Ball Point Pen was designed with a high end executive look in mind. It is manufactured out of the highest quality Rhodium plated components and has a unique Gold raised accent on the band. 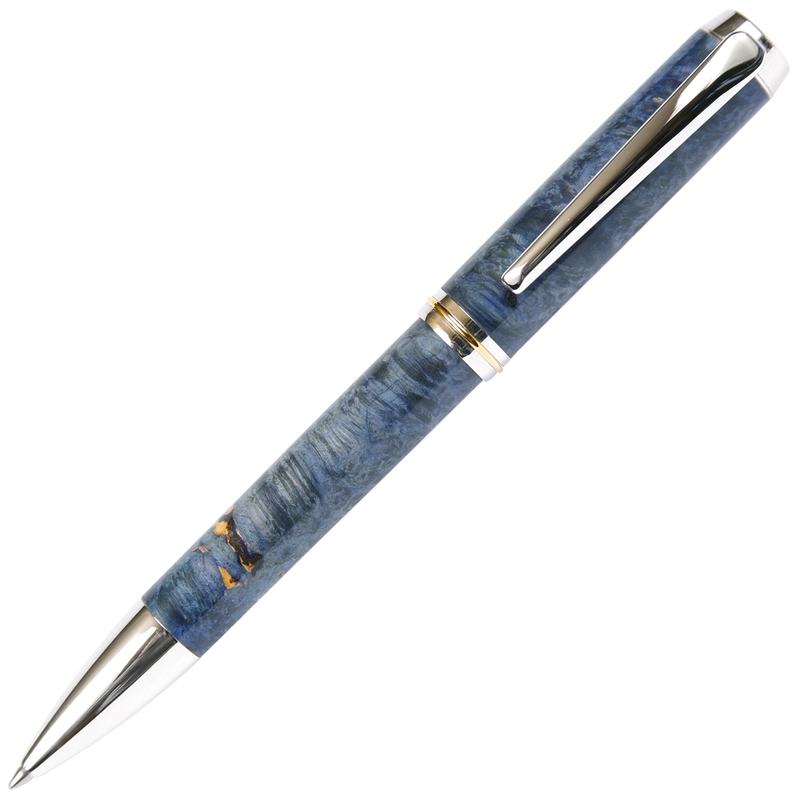 The body is handcrafted out of Lanier Pens Blue Box Elder formulation then polished to perfection. This design features multi-directional, ultra smooth and durable Schmidt P900 Top Class ball point refill and is simply a great looking pen. The exclusively stunning blend of Blue Box Elder, Rhodium plated components and a top class German-made Metal Body Schmidt P900 refill with a tungston carbide ball ensures a smooth and dependable writing experience. Optional nib sizes available in Fine or Medium.